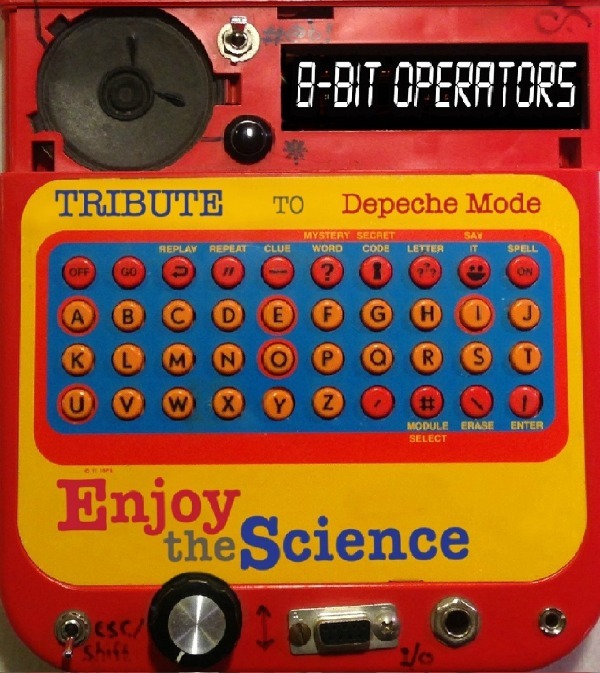 As we promised last week, we’re thrilled to be able to premiere the full-album, pre-release stream of the 8-Bit Operators collective’s new collection of chiptune covers of Depeche Mode classics — a 15-track collection of “highly musical, lo-bit video-game hardware re-imaginings” of some of the band’s best-known songs from the past 30 years. The album is due out June 10 and includes acts such as gameboymusicclub, ComputeHer, crashfaster, GOTO80 and Naomi Sampler, with tracks covered ranging from “But Not Tonight” and “Behind the Wheel” to “Boys Say Go,” “Dreaming of Me,” “Never Let Me Down Again” and more. The album, to be released on CD and digitally, is available for pre-order now. And, below, you can stream the whole thing right now. The best is YERZMYEY and gWem.